Are green lipped mussels the next “great thing” for our senior dogs? Let’s take a look and see! What are they and are they really green? 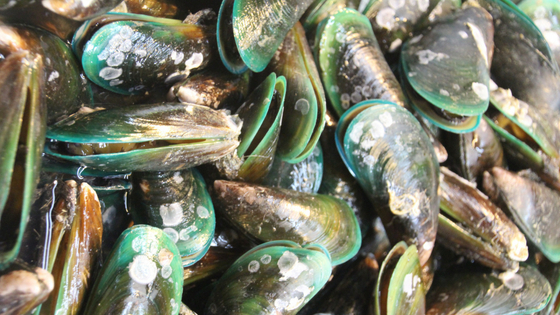 Green lipped mussels (or GLM) are a type of mussel found only in New Zealand, and the shell is rimmed in green. What makes green lipped mussels so powerful? Just like fish, green lipped mussels contain Omega-3 fatty acids, but it is the combination of fatty acids, minerals and antioxidants found in the mussels that makes them so powerful. There is no set answer for this one, as the amount of GLM that will be beneficial for your senior dog depends not only on his or her size, but also the severity of the condition. The amount given may also have to be increased or decreased depending on the results you see…or don’t see. While it is often suggested the most effective way is to sprinkle it onto your dog’s food, the study I mentioned above suggests dogs showed significant improvement whether it was given that way, in a treat or as an ingredient in dog food. The fact it is helpful in various forms, increases the likelihood you will find something your dog will accept. Natural supplements tend to take longer to have an affect than medications, so it may take several weeks for you to notice a difference. There don’t seem to be any concerns about side effects, although there is a very slight chance your dog could be allergic to shellfish. If you see any symptoms such as your dog scratching, upset stomach, difficulty breathing or lack of interest in food (possibly due to nausea), please call your vet immediately. 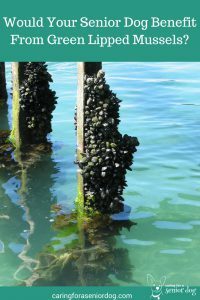 Are all green lipped mussels supplements created equal? Not all supplements are created equal, and green lipped mussels are no exception. It’s important to understand the manufacturing process in order to choose the best brand. Heat destroys the nutrients naturally found in the mussels, so if they are steamed open you want to stay away from that brand. Look for cold extracted instead. There are also many supplements that contain GLM but it’s not always easy to determine how much it actually contains, or the manufacturing process. You may want to start by checking with your local health food store, and speaking with a knowledgeable salesperson. Are GLM better than anti-inflammatories? It depends what “better” means to you. When the “right” medication is found and dosage determined, then they absolutely do help with the pain associated with arthritis. By the same token there are often side effects that come with these drugs, and may be experienced by your dog. More and more pet parents are looking for natural alternatives, and GLM are definitely worth looking into. Keep in mind not every drug or supplement will be effective for every dog. Are other supplements for mobility needed? 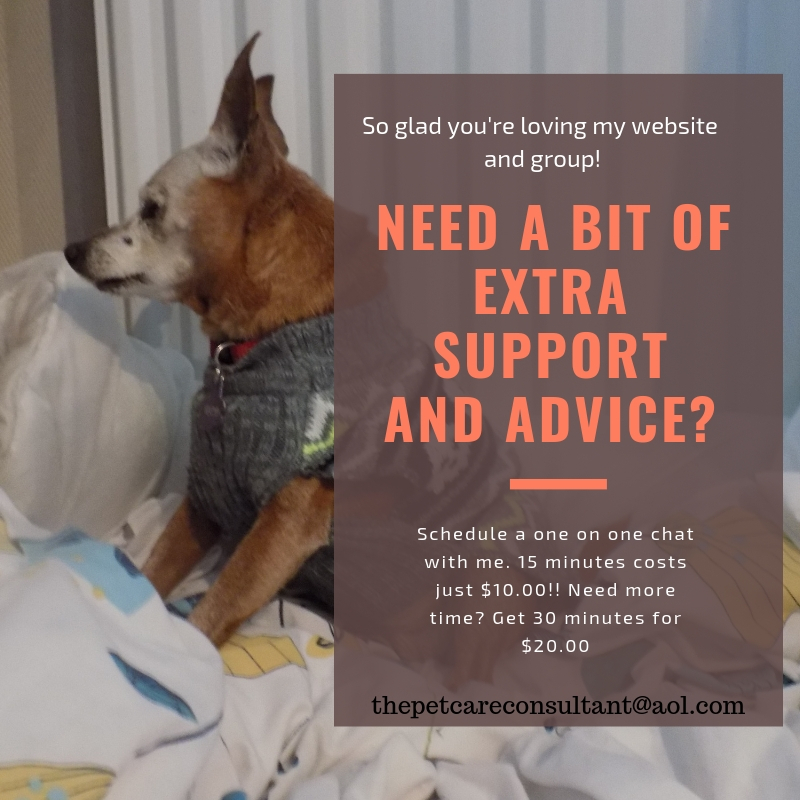 There is no definitive “yay” or “nay” answer to that question, but more a matter of the severity of the pain your dog experiences, and what will work best for him or her. Some dog parents find the greatest effect when taken with glucosamine/chondroitin, while others add fish oil as well. I always advise checking with your vet before making any changes to your dog’s diet, and that includes the addition of supplements. In my case because Red had chronic pancreatitis, it was critical I kept an eye on the amount of oils in her diet and that definitely included fish oil. If your vet isn’t as familiar with alternative therapies as you would like, bring an information sheet with you. If he still isn’t able to offer you the advice you seek, a visit to a holistic vet may help. If you do end up with a second vet, communication between all parties is key for the safety of your dog. Do you give your senior dog green lipped mussels? What condition are you treating? Do you see any positive results? Sharing helps others so please leave a comment below, or on my Facebook page. We use a local company here in New Zealand who make Pet Mussel with a dosage for cats. We believe that senior cat Harvey does indeed benefit from the supplement. We use smaller amounts I think than for a dog but I would endorse green lipped mussel 100% and I am so glad to see you review this. People need to give this stuff a try! Being from New Zealand yourself Marjorie, I’m glad to hear you’re using it and finding it helpful. It’s good to hear it works for cats as well. Glad to hear that Ruth. I’ll be interested to hear if you think it could benefit Layla. I’ve tried plain mussels but Mr. N refuses to eat them. Now he’s on a combination chew that has mussels in it which he much prefers. He’s not showing any signs of pain but prevention is good! Glad you found a way for Mr N to get his mussels. I have heard really good things about this. With four senior dogs now and one who is 13 and has arthritis, I will look into this a little more to see if it is something I should add to her diet. She (all 4) are on Omega-3 oil, among other supplements. I do prefer the natural way of treating for as long as I can, especially since she has IBS issues and many of the pain meds trigger it. I’m Pinning this to my “Bark About” board for sharing as well! Thanks, Hindy! My vet first mentioned this to me a few years ago, and I was pleasantly surprised he was recommending something natural as opposed to always prescribing medication. Let me know if you find it something useful to add to to your 13 year old’s diet. Thanks for pinning!! I’ve added GLM supplements to my cats’ raw diet. I have several elderly cats and I do think it helps. Thank you for this thorough summary of the benefits of GLM, Hindy. I’ve been thinking about trying them for Icy, she seems to be slowing down a bit (she’ll be 9 in the Fall). Hi Cathy, if you do decide to try them with Icy let me know if they help!! So interesting! This is a supplement I have never heard of, I’ll be sure to check it out! My vet mentioned it to me quite some time ago, lots of great results. Naturally not every dog will respond the same way, but I like there are options.